THE RESIDENT: L-R: Emily VanCamp and Matt Czuchry. Co. Cr: Guy D'AlemaFOX. Episode 2×04 “About Time” — Tanc Sade (“Gilmore Girls”) and Jenna Dewan (“World of Dance”) Guest-Star Chastain is flooded with concert goers when a stampede at a music festival grounds leaves many in need of doctors. As Conrad and Nic race to help Josh Robinson (guest star Tanc Sade), a professional adventure guide with a long list of prior injuries, Devon works with a musician who swears he is sober, even though his toxicology report suggests otherwise. Meanwhile, Bell stirs the pot when the hospital’s revered orthopedic surgeon, Dr. Kit Voss (Jane Leeves), demands a better resident, Julian (guest star Jenna Dewan) works to get her boss on Bell’s good side and Winthrop continues to push Conrad to believe he’s a changed man. Guest Cast: Jenna Dewan as Julian Booth, Tanc Sade as Josh Robinson, Tasso Feldman as Dr. Irving Feldman, Denitra Isler as Nurse Hundley, Jessica Miesel as Nurse Jessica Moore, Michael Weston as Gordon Page, Vince Foster as Dr. Paul Chu, and Michael Hogan as Dr. Albert Nolan. Air Date: Monday, Oct. 15 (8:00-9:00 PM ET/PT) on FOX. 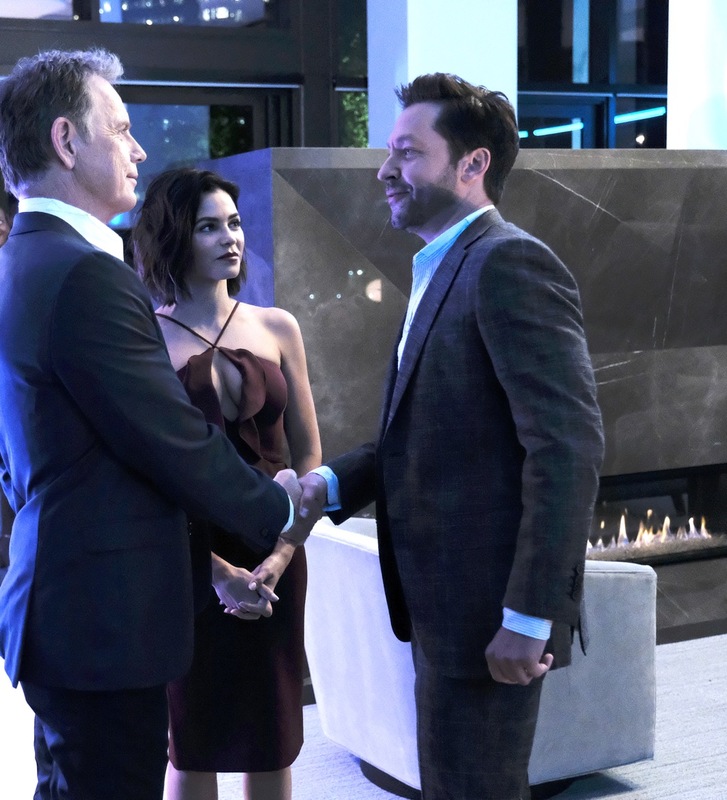 THE RESIDENT: L-R: Bruce Greenwood, guest star Jenna Dewan and guest star Michael Weston in the "About Time" episode of THE RESIDENT airing Monday, Oct. 15 (8:00-9:00 PM ET/PT) on FOX. ©2018 Fox Broadcasting Co. Cr: Guy D'AlemaFOX.